Hear ye, hear ye....a proclamation has gone out from the Castle de Penguin and her royal highness, the Puck Princess Medina. Welcome to Week 2 my loyal subjects and fans of the flightless, feathered fowl. We are off to a whirlwind start to the recap week already so let's not waste any time. 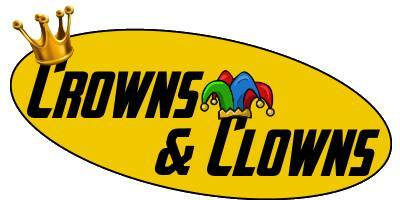 Here are your Crowns & Clowns for this weeks crop of match-ups. High King(s): Some tough choices had to be made because there were SO many great plays or great moments this week. In the end, the power hath to be shared. With both racking up 5 point games against Detroit on 3/26 (including one goal each), sharing the title of High Kings this week are Phil Kessel and Nick Bonino (yes, you read that correctly). In yet another come from behind victory, The Red Panda and Bones-y both put up highlight reel worthy goals in the eventual 7-2 routing of the Red Wings (clips below). Well done, gentlemen. Just make sure you share the throne nicely. Prince: Everyone loves a good goal celebration. But a GREAT celly can live forever. This one is no exception. It makes it even more epic knowing it comes from the son of a legend. Tom Kuhnhackl's goal and "on his back" celebration is not only a thing of beauty, it's incredibly adorable. The kid I call "Knux" is truly making his mark on the team and in the NHL- so how about we stop all the "never be as good as his father" comments, Pierre? Duke: Let's make this short and sweet- goals...all the goals!!!! * The Bozo: Without a doubt, this weeks Bozo Award goes to Washington Capitals defenseman, Mike Weber. The last time I checked, I thought the NHL was trying to get away from the typical Goon-style of hockey. Yet he faces no punishment, even after an ejection, for trying to behead Bryan Rust not once but TWICE in the game on 3/20. Playing physical is one thing, but going out of your way to really try and hurt someone long-term is another. Pass the jingle hat, Staal...Bozo Weber now reigns.